The Japanese Cocktail was invented by "Professor" Jerry Thomas, who is considered the grandfather of the bartending world. It first appeared in his famous 1862 bartending guide "How to Mix Drinks or The Bon-Vivant's Companion." Originally, lemon peels were stirred with the other ingredients in a rocks glass and the drink was served over ice. Over the years small things were replaced and we now have a Japanese Cocktail with lime juice that is served up. Either way, it's a delightful drink and a true classic that you won't want to pass up. There is nothing Japanese about this drink, either. The story behind the name implies that it was inspired by the first Japanese representatives to the United Nations who roomed near Thomas' bar. The Cognac. 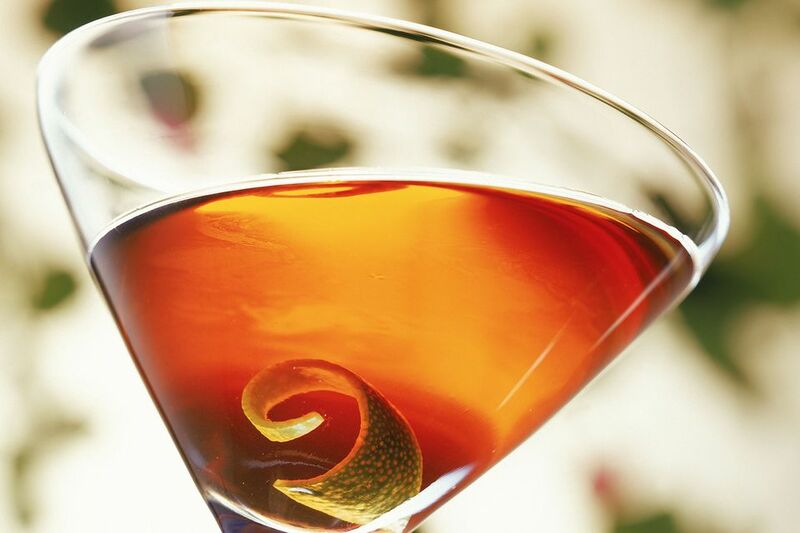 As you might know, Cognac is a brandy that's made in a specific region in France. While Thomas intended the Japanese Cocktail to be made with it, there's no reason why you can't pour your favorite brandy, even if it's not made in Cognac. There are a number of great options available and it's hard to choose a bad one for this drink. However, it would be best with a mid- to upper-level Cognac or brandy. That's because this is a very simple drink and there's little to disguise a less than ideal spirit. Do yourself a favor and pour one of your better brandies into this one. Adjust to Taste. As you explore different brandies in the Japanese Cocktail, you might need to adjust the sweet or sour aspects slightly. Begin with the recommended pours of lime and orgeat and see what you think. One Cognac may call for a little more orgeat while another may need a touch more lime. Take a mental note and make adjustments in the second round. Remember that everyone's taste is different as well and it's always a good idea to customize a drink to suit your personal taste. After all, you're the one drinking it, right? The Orgeat. It's not one of the most common ingredients in the bar, but orgeat (pronounced "or-zat") is rather useful. It's an almond-flavored syrup that is found in cocktails like the Mai Tai as well as other tiki and classic cocktail recipes. If you cannot find orgeat and need a quick substitute, try amaretto or an almond syrup. How Strong Is the Japanese Cocktail? The Japanese Cocktail, like many other cocktails of this sort, is a short drink of right around 3 1/2 ounces. If you consider that over half the drink is made up of a (typically) 80-proof liquor, you can understand the reasoning behind the shorter pour. On average, the Japanese Cocktail weighs in around 23 percent ABV (46 proof). This puts it right in line with most drinks served in a cocktail glass. It's a little weaker than the Martini but has a similar strength to juicier drinks like the Cosmopolitan.